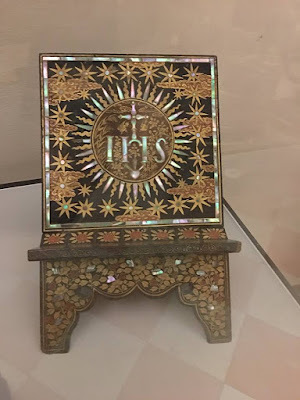 As mentioned yesterday, the famous shrine of the Holy House of Loreto has a very interesting treasury with many very beautiful liturgical objects. Here is a selection of photos taken by our Ambrosian correspondent Nicola de’ Grandi during a recent visit. 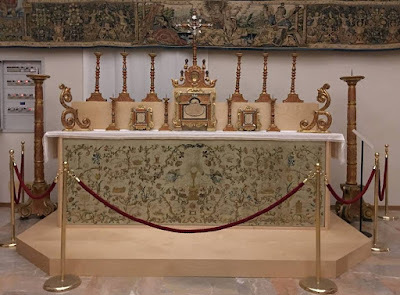 Altar decorations made in the Sicilian city of Trapani, and given to the Holy House by the Prince Caracciolo d’Avellino in 1722. 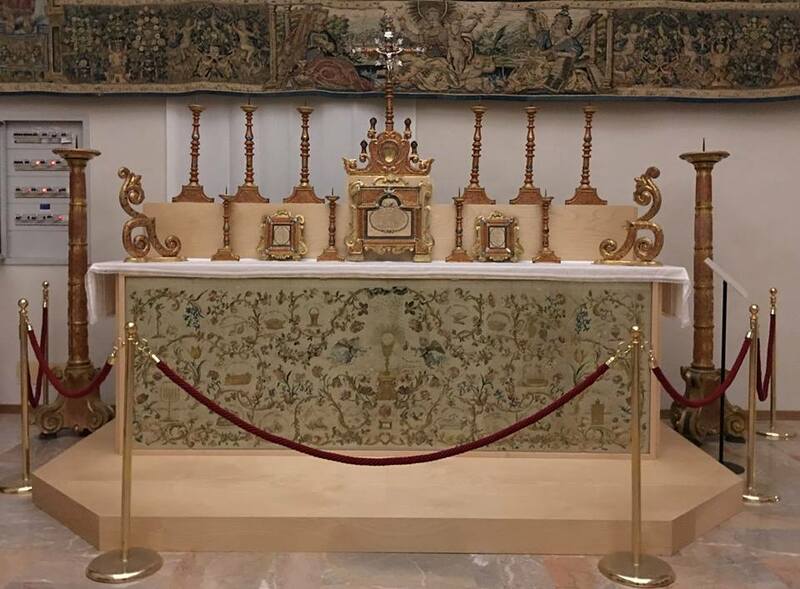 The cross and candle set is made of silver and coral, the frontal of silk and satin, with gold and silk threads. 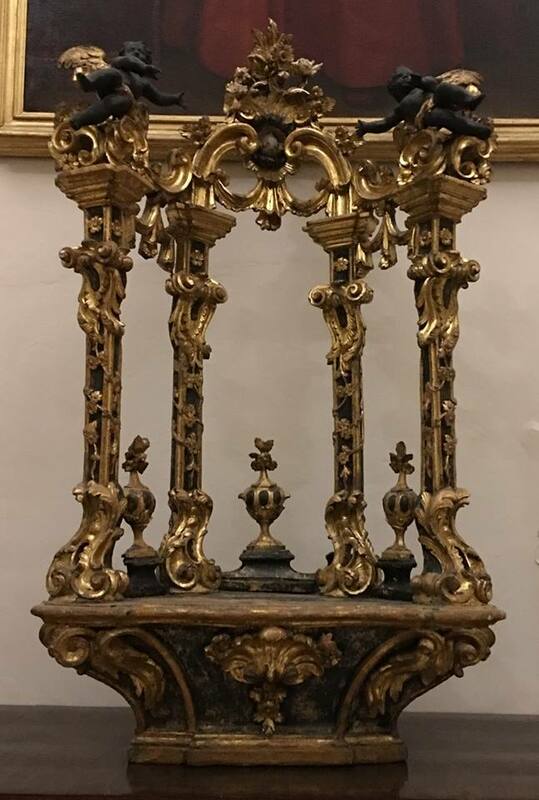 Only the best for Our Lady! 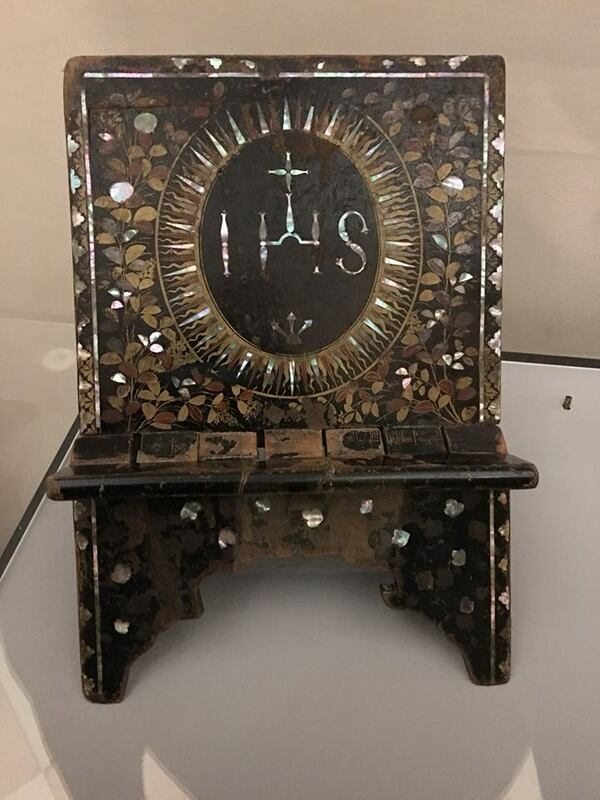 Altar lectern made in Kyoto, Japan at the end of the 16th or beginning of the 17 century, with the monogram of the Jesuit order. 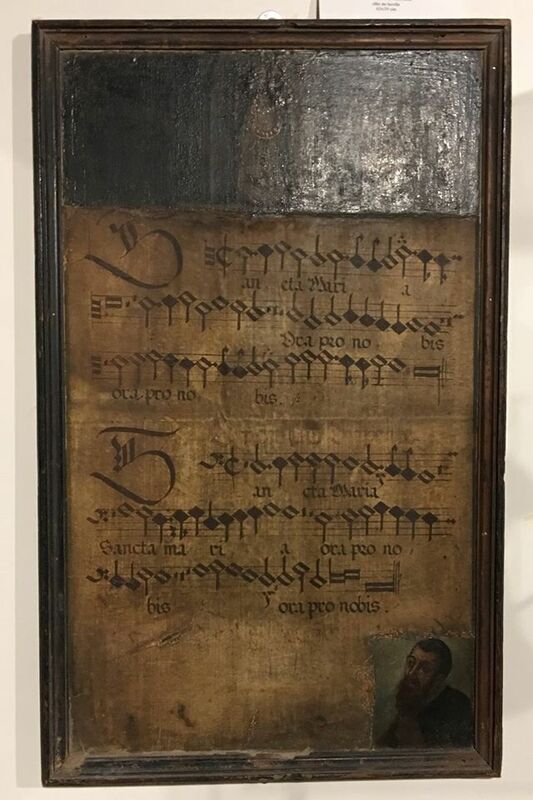 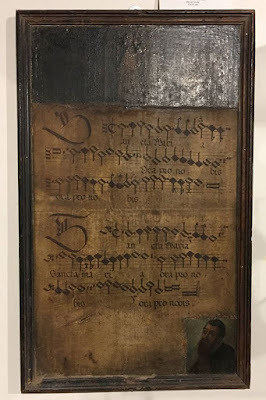 Another from the beginning of the 17th century, from the island of Macao. 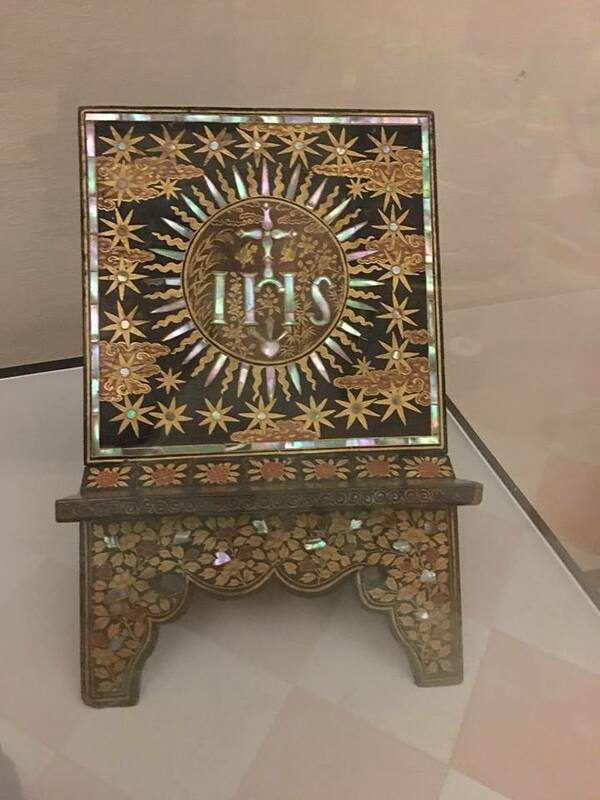 A floral decoration made entirely from bird feathers. A reliquary containing a shoe of St Charles Borromeo, end 18th century. 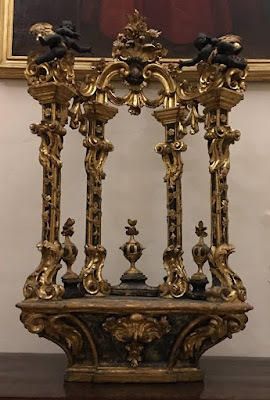 A throne for exposition of the Sacrament. 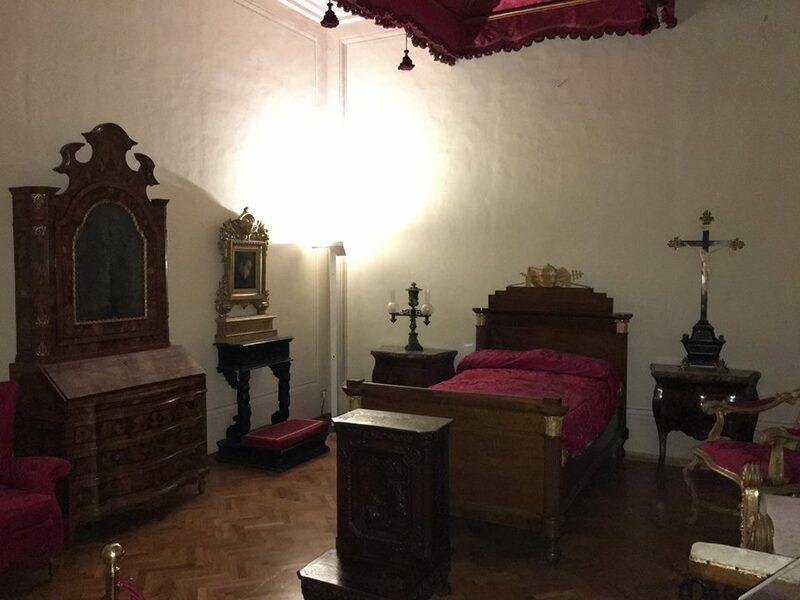 Furniture from the Papal apartment of the Holy House, used by Popes Pius VII, Pius VIII, Gregory XVI, Bl. 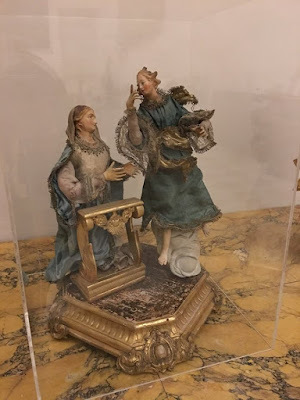 Pius IX and St John XXIII. 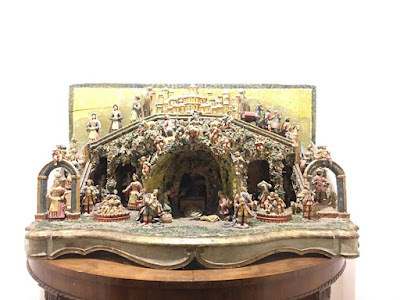 An 18 century terracotta Nativity set made in Puglia. 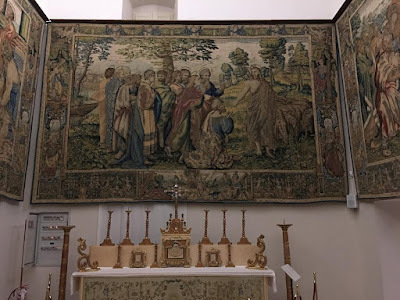 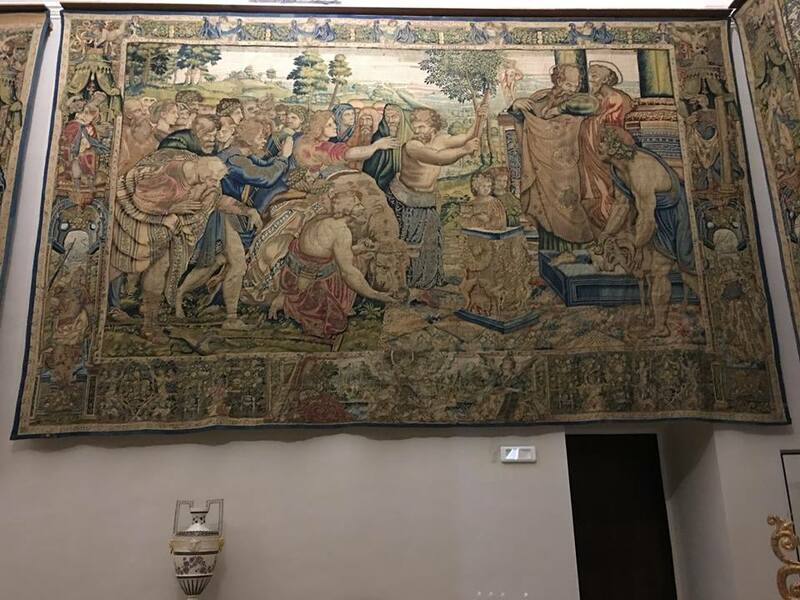 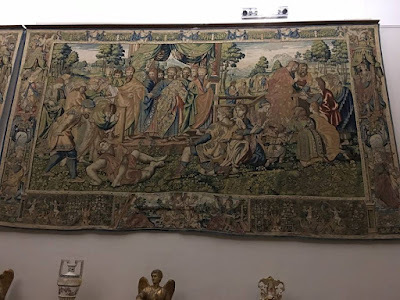 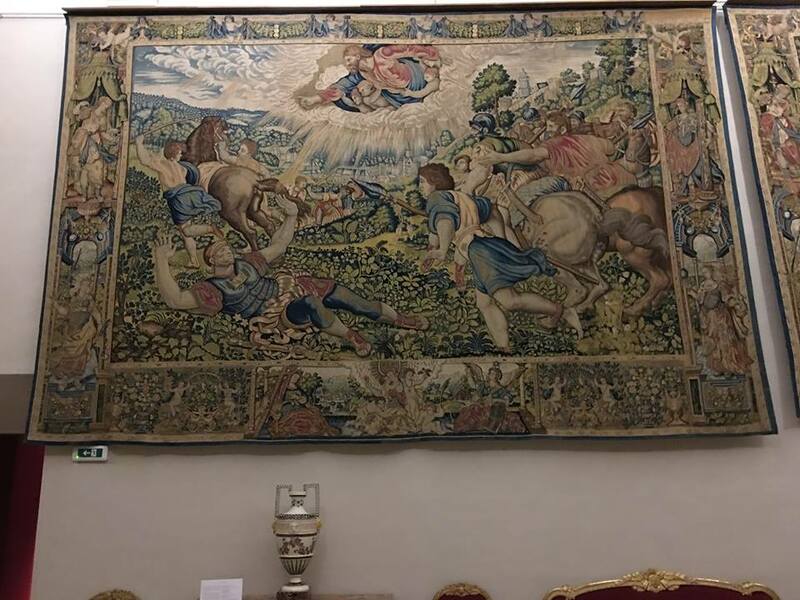 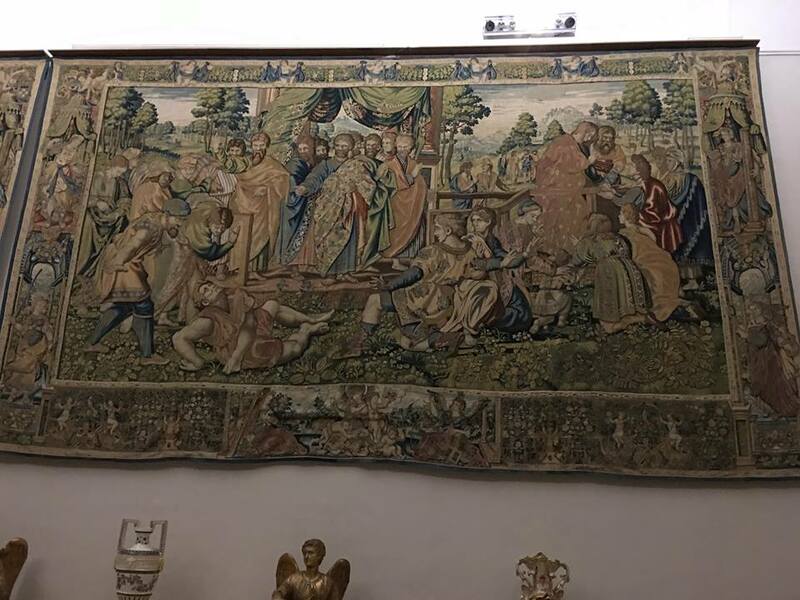 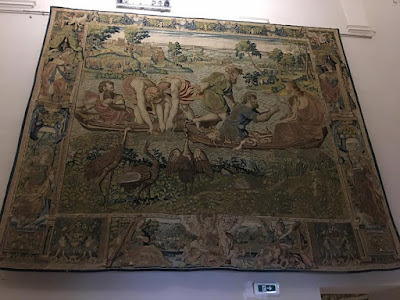 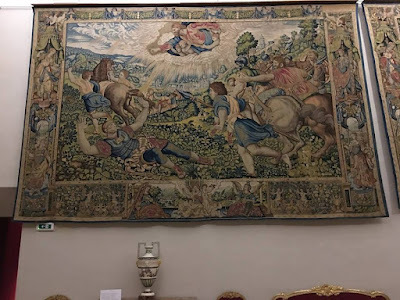 Among many other interesting items, the treasury also houses a set of tapestries woven in Brussels in the school of Heinrich Mattens, based on a series of preparatory drawings originally commissioned by Pope Leo X from Raphael in 1514.